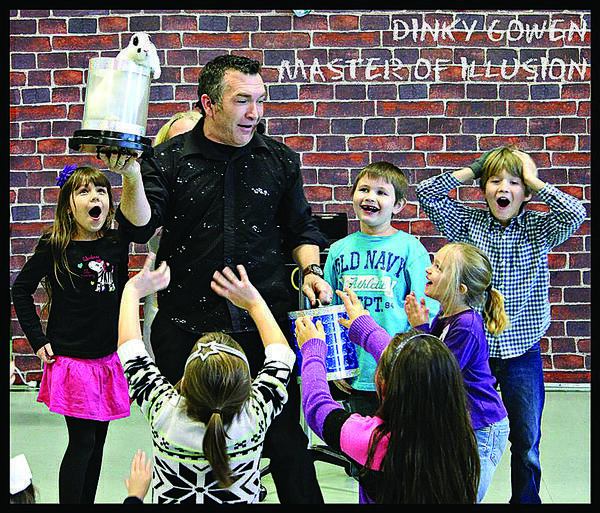 Dinky Gowen, Master of Illusion, will perform a magic and variety show March 14 as a fundraiser for the Hodgenville Lions Club. 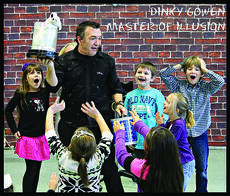 Dinky Gowen's magic and variety show will benefit programs of the Hodgenville Lions Club. All money raised stays in the local community and benefits the Lions’ eyeglass program which provides eye care, glasses and treatments to local residents. The show will be held in the LaRue County High School auditorium. It begins at 7 p.m.
Gowen has been performing his kid-friendly magic act – with ventriloquism, comedy and sleight-of-hand – around the country for more than 30 years. The show includes Adrienne Phoenix, the state’s only female escape artist and fire-eater. Tickets are $8 in advance or $10 at the door. Ages 5 and under are free.